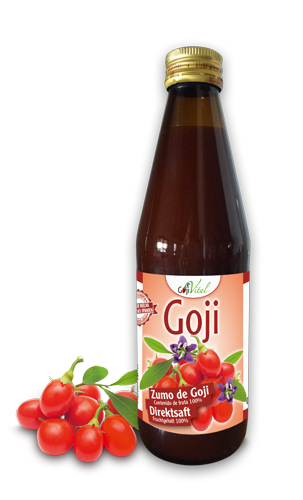 We press our own high-quality goji berries to a juice with great taste experience. Our 100% pure Goji Juice NFC is the first pure european Goji Juice. Traceability from the fresh berries to the finished goji juice is given. Harvested at their best time, our hand-picked goji berries are pressed, filtered, pasteurized and bottled. Our Goji Juice is filled without any additives and preservatives. The energy bearer - made from our spanish goji berries. Our sun-drenched region allows our berries to grow extremely well and develop their full flavor. If you are interested in european goji juice, please contact us via our contact form.